In two short days HTC is holding an event during which it's expected to announce a new series of smartphones branded U: the U Ultra and U Play. Today however the Taiwanese company has decided to reveal that its most recent mid-range offering, the Desire 650, would be coming to Europe soon. The Desire 650 was unveiled back in November of last year as a totally unimpressive successor to the Desire 630, itself just a few months old at that point. 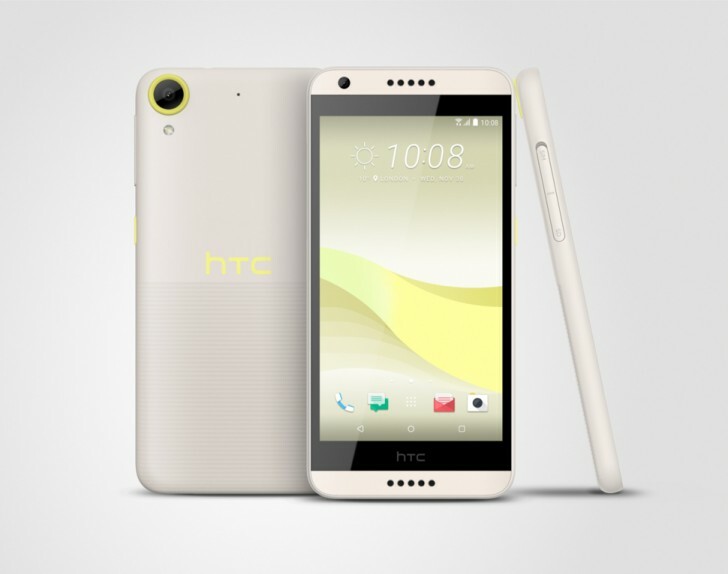 So far, however, its availability was confined to HTC's native Taiwan. That will all change in February, when the Desire 650 is scheduled to land in the UK. Pricing for that market hasn't been outed yet, but we do know that the Dark Blue color version will be exclusive to O2, while the Lime Light iteration (pictured above) will be sold elsewhere too. The Desire 650 may also make its way to other countries in Europe at around the same time or shortly afterwards, but no official details have been revealed. The phone comes with a 5-inch 720p screen, a 13 MP main camera, a 5 MP selfie snapper, 2GB of RAM, 16GB of expandable storage, and a 2,200 mAh battery. Intriguingly, it's powered by the extremely old Snapdragon 400 chipset, featuring a 1.6 GHz quad-core Cortex-A7 processor and Adreno 306 GPU. The handset runs Android 6.0 Marshmallow. There most be someone who wants an old and slow device...where are you??? Old hardware in a extremely fugly device... If they would pay me to use it, i wouldn't. Bottom end spec,sold as mid-range at HTC's usual premium price.. They will sell as many of this as they did 10's. Anyone seen any figures for how few 10's have been sold ?